The study’s authors showed similar biases in previous papers—yet the media keep stoking the flames without doing any serious analysis. A new study from the Fred Hutchinson Cancer Research Center, led by Theodore Brasky, PhD, et al., has supposedly found a link between high concentrations of EPA, DPA and DHA in the bloodstream—the three anti-inflammatory and metabolically related fatty acids derived from fatty fish and fish-oil supplements—and an increased risk of prostate cancer: a 44% increased risk of “low-grade” prostate cancer, and a 71% increased risk of “high grade” (that is, aggressive) cancer, according to their report. Brasky and his colleagues looked at two groups: their own cohort of 834 men diagnosed with prostate cancer, of which 156 had high-grade cancer; and, for comparison, the data and blood samples from 1,393 men of the same age range randomly chosen from the 35,500 participants in the prostate cancer SELECT trial. In looking at the analysis of the men’s blood samples, Brasky et al. found that men who had the highest amount of long-chain omega-3 polyunsaturated fatty acids (LCω-3PUFA) in their system had an increased risk of prostate cancer, compared to men with the lowest amount of LCω-3PUFA. At the same time, they found that omega-6 fatty acids were associated with lower risks of total prostate cancer. Brasky and his colleagues had published a paper in 2011 indicating that DHA was positively associated with high-grade prostate cancer, but that trans-fatty acids (like those found in margarine and frying oils that contribute to heart disease) were associated with a decreased risk of aggressive prostate cancer. This new analysis seems to confirm their previous findings. It’s like living in topsy-turvy land. Brasky’s conclusions run contrary to almost every previous study on the subject. There are several prospective studies showing numerous benefits of omega-3 fatty acids in relation to cancer. In one, researchers investigated the effect of dietary fish intake among 6,272 Swedish men who were followed for thirty years. Men who ate no fish had a two- to three-fold increase in the risk of developing prostate cancer compared with those who consumed large amounts of fish in their diet. Similar studies have suggested lower prostate cancer risk associated with omega-3 fatty acids from fish in Japanese and Brazilian men. An important Harvard study examined the link between dietary fish consumption and the risk of metastatic prostate cancer. The study involved 47,882 men over twelve years, and found that eating fish more than three times a week reduced the risk of prostate cancer but had an even greater impact on the risk of metastatic prostate cancer. For each additional 500 mg of marine fat consumed, the risk of metastatic disease decreased by 24%! The group Brasky used for comparison in his study were participants in SELECT (the SELenium and vitamin E Cancer prevention Trial) conducted from 2001 to 2008. The $114 million study was trying to determine whether vitamin E (in the form of incomplete and synthetic alpha-tocopherol, one of eight forms of vitamin E that in nature work together) and selenium can prevent prostate cancer. This study was called to a halt when an early look at the data showed no benefit for the treatment. In this clinical trial there were slightly more prostate cancers in men taking alpha-tocopherol vitamin E alone, and slightly more diabetes in men taking only selenium. But neither finding was statistically significant, meaning these findings were likely due to chance. No data was kept on the men’s dietary habits—neither among Brasky’s primary cohort, nor among the men in the SELECT trial. We do not know how much fish they might have consumed, or the quality or source of the fish oil supplements they took, or what other dietary supplements they might have taken or for how long. Perhaps the men with non-aggressive cancers took vitamins or other supplements; we just don’t know. Some fish (and fish oil supplements) can contain environmental chemicals that can contribute to prostate cancer. In other words, we have no idea where the omega-3 in the men’s systems came from—the study is silent on that issue, and that’s a huge problem. The Life Extension Foundation’s Bill Faloon and his colleagues will be publishing their own rebuttal of Brasky’s findings shortly in Life Extension magazine, but they gave us a preview of their analysis. Their examination of the same trial data makes them suspect that that the men who had the slightly higher omega-3 levels may have already had a higher risk of contracting prostate cancer at baseline (they had higher PSA scores and a family history of prostate cancer). In other words, it’s possible they developed prostate cancer because of preexisting disease and/or genetic predisposition. Faloon also points out that Brasky’s conclusions are based on only a single blood test, even though this was a long-term study. Plasma levels of omega 3 can change dramatically in the short term, so this study does not reflect a long-term incorporation of omega-3 into the patients’ cells and tissues. This is especially important when you consider that the difference in omega-3 blood measures associated with increased cancer risk were so trivial that if a man had just one salmon meal the night before, he could have wound up in the “higher” omega-3 group even if he never ingested omega-3 again. Another significant factor: omega-3 plasma levels in the subjects were only about 40% of what would be expected in health-conscious people taking the proper dose of fish oil. It should be apparent that this report had no meaning for those who boost their omega-3 consumption through diet and supplements. In an earlier study by the same authors, they reported that the risk for aggressive prostate cancer rose, then fell, then rose with increasingly high blood concentrations of DHA. This is not a consistent response—and the current study did nothing to clear up this strange ambiguity. No mortality data is provided in Brasky’s analysis, so we really don’t know if men with prostate cancer would survive longer if they avoided omega-3s. However, as Bill Sardi points out, Japanese men consume the most omega-3 fish oil from dietary sources in the world, and they are recently reported to have a rising incidence in their risk for prostate cancer (likely due to better detection methods) but a declining risk for death from this very same disease. Aren’t better survival rates the gold standard for evaluating the success or failure of a treatment? Despite the fact that the study showed no causal link between prostate cancer and fish oil supplementation or the presence of omega-3s in blood, the paper’s senior author made the following blanket statement in a press release: “We’ve shown once again that use of nutritional supplements may be harmful.” Have you ever heard such an absurd conclusion? 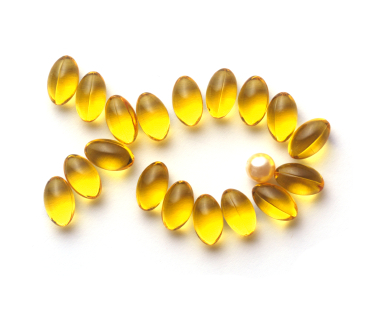 CAM physicians have mixed opinions on omega-3s from fish oil. Some, like respected California integrative doctor Robert J. Rowen, MD, recommend against fish oil because of the danger that it can oxidize once it reaches warm, oxygen-rich bloodstreams. These doctors recommend vegetable precursors (parental essential oils, e.g., flax oil). Others, like Dr. Jonathan Wright, recommend taking fish oils—but always with vitamin E (in the form of mixed tocopherols) to prevent against oxidative damage. The pharmaceutical industry has developed their own omega-3 drugs, with more in the pipeline, some of which are in phase III of clinical trials. Since these drugs are only available by prescription, our concern is that studies like this will scare consumers away from supplementing sensibly, and will drive people to use the Big Pharma version when prescribed by a doctor. Certainly the media plays a big role in that. Outlet after outlet merely parroted the press release and cobbled together one alarmist headline after another, with no context or critical analysis provided. As we noted above, it is vital for natural health consumers who use supplements to do so wisely, in consultation with a qualified health expert. Understand what levels of each supplement is optimal for you and your condition. Use the most natural forms of any substance available: first, if you can, in food, and secondarily in natural, organic supplements. And always take them with the co-factors that make them safe and most able to be utilized by the body. As always, it’s a matter of balance, education, and following the advice of an experienced healthcare practitioner.